I really wanted to see this one. 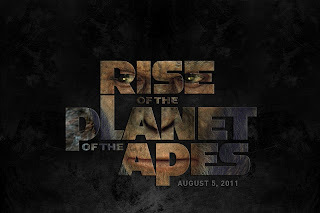 This movie is about how the revolution started and how the planet of the apes franchise was born. You can compare it with the “Batman begins” movie from several years ago. First I thought this movie would cast a negative spell over the epic “planet of the apes” movies. But when I saw it last week I revised my opinion. The movie is very decent and it explains everything about the rise of the planet of the apes so that everybody can watch this movie without having to see the whole franchise first. Some of the actors starring in this film are: James Franco (Will Rodman), Freida Pinto (Caroline Aranha) and Tom Felton (Dodge Landon). They all do a decent job but it’s not outstanding or mind blowing. Andy Serkis plays the role of Ceasar (the ape). I saw a making of video on youtube and I must say he does a tremendous job. He’s also known for playing the role of Smeagól in “The lord of the rings” trilogy. This movie is pretty decent and I recommend it to everyone. Though I’m not convinced about the sequels that they’ll make. I hope they don’t mess up but we’ll see.